As you have probably already noticed, the birds are back in full (s)wing. But how many? And which ones? That sort of information would require a small army of keen-eyed citizen-scientists and birders to patiently observe and keep track. 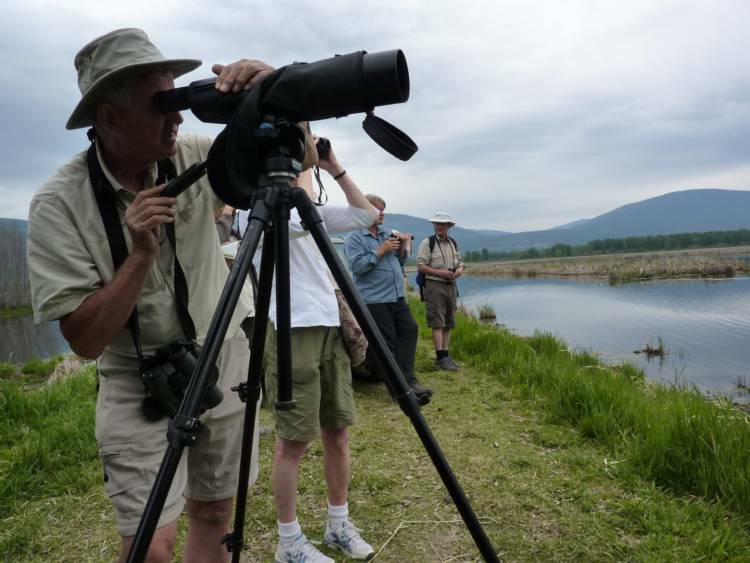 Well, luckily for all of us, the Kootenays are full of citizen-scientist-birder soldiers – and thanks to another year of their amazing birding, the figures from this Spring’s Columbia Wetlands Waterbird Survey (CWWS) and Creston Valley Bird Fest are in! Let’s start with the CWWS, which, regardless of the late start to spring, saw 83 volunteers count over 26,000 birds during the first two weeks of April. That’s 800 more birds than were counted during the same stretch last year, from 113 different species! You can read more detail about some of the CWWS highlights from this year over here, and you can open this Columbia Wetlands Waterbird Survey PDF summary to see all the counts for all the species. And down in the Creston Valley, another successful Creston Valley Bird Fest has wrapped up with another strong turnout from the festival’s most important attendees: the birds. Over 127 different species of birds were spotted by the 193 birders who went out with their checklists on one of the 20 birding tours held over the May 12th-14th weekend. You can see the full list of all the birds that were observed this year in this Creston Valley Bird Fest Checklist (PDF). Plans are already taking flight for next year’s Bird Fest, May 11-13, with noted owl expert, Jim Duncan, already booked as the keynote speaker. No matter which way you slice and dice the data, one thing is certain—that’s a whole lot of birds!